ESG Focus: Coke; You Can’t Beat The Real Thing – Or Can You? Part One of FNArena's deep dive into the future of coking coal in an increasingly carbon sensitive world. If thermal coal is public enemy No. 1 in an ESG world, then metallurgical (coking) coal is running neck and neck with single-use plastics for the position of public enemy No. 2. 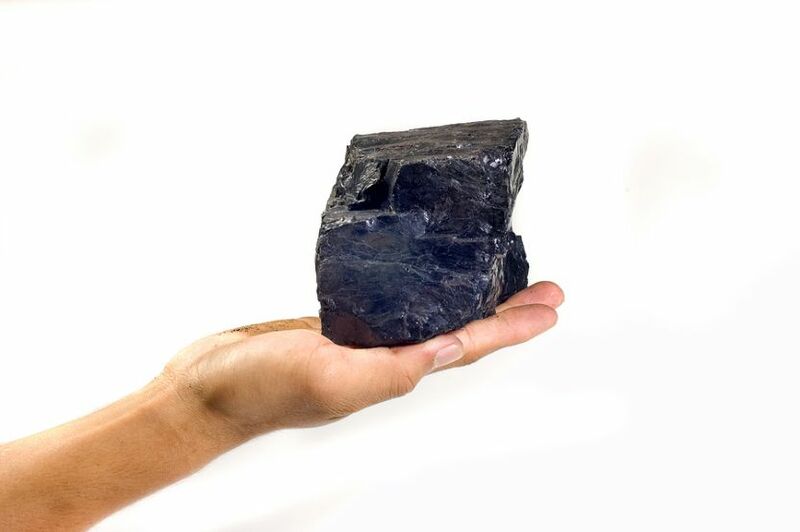 Thermal coal represents about 80% of the world’s coal use and coking coal represents 20%. Coking coal is used in blast-furnace steel making. It is widely accepted there is no at-scale substitute for coking coal in steel manufacture, although this is only partly true. Electric arc furnaces produce steel from scrap metal and represent about 30% of the world’s steel production. Coking coal is only needed for steel produced from scratch. So, like thermal coal, coking coal is a tale of two hemispheres. In the West, which has huge reserves of scrap metal, demand for coking coal is expected to ease over the next five years. In Asia, which is industrialising and urbanising, and has relatively low reserves of scrap metal, demand is expected to remain reasonably steady. The timeframe after 2023 is anything but certain and will depend on the rate of technological advances and the rate at which carbon imposts flow through. The race to find a substitute for coking coal in steel making very much resembles that to discover longitude in the 1700s, when the British government offered a huge purse to the one who could provide a solution to save the massive losses of cargo at sea. Except it is more intense. Some governments are not just offering prizes, they are co-funding projects – many of which are already quite advanced. Steel companies are nearly as keen to invest, seeking any technological advance that will help them cut costs, emissions, slag pollution and labour, and enable them to establish competitive dominance in a post-carbon tax and post-ESG world. Direct threats to coking coal demand include: new generation blast furnaces: electric arc furnaces; substitutes for coking coal; a likely carbon tax; and ESG capital withdrawals. There are also indirect threats. Coking coal prices are very sensitive to steel demand, and steel faces its own battles with alternative materials and carbon targets. Asia is coking coal’s best friend but China, the world’s largest consumer of coking coal, is committed to reforming the industry, has an ageing population, and is starting to build its own scrap-metal reserves. India, in contrast, is on the rise. But with ESG penalties on supply chains starting to bite within the next few years, improvements in technology and the likely introduction of the carbon tax, it will be unlikely that an industrialising India will be able to fill China’s shoes. This, apart from the fact that China's steel manufacture is by far the largest in history, currently equal to output from all other producers elsewhere combined. A large slowdown in China would thus leave too big a foot print for any single country to fill, including fast growing India. While coking coal seems safe for the near term, its future beyond 2023 is less certain. Coking coal is essential to steel making. It is used as a reducing agent in a chemical reaction called reduction that turns iron ore into pig iron. Carbon dioxide is the by-product. Coking coal has a higher carbon content than thermal coal, and is needed to generate the high temperatures required for the blast furnaces. The International Energy Agency estimates that about 7% of the world’s carbon dioxide emissions come from steel production. The production of 1 tonne of steel yields about 0.8 tonnes of carbon dioxide, not including energy costs. According to the journal Nature, primary sources of greenhouse gas emissions (those arising from blast furnaces) represent 43% of the industry’s total footprint, miscellaneous combustion sources (gases) 30%, other process units 15%, and indirect emissions (energy use) represent 12%. The Paris Accord has set a target of a -27% reduction in emissions for manufacturing (excluding energy which has its own targets) in the medium term. This will affect all industries, ranging from automotive to aviation to shipping. With its high carbon-dioxide-emission profile, steel faces serious challenges as a material in a carbon-weaning world, ipso-facto coking coal. Steel companies fortunes are very sensitive to demand, which translates to volatile coking coal prices, which in turn requires investors with nerves of steel, excuse the pun. The introduction of a carbon tax and ESG penalties will exacerbate this situation. As a result, the pressure to reduce the reliance on coking coal used in blast furnaces is intense. Blast furnaces are expensive and have a life of about 10 years before they need relining, and an average overall life of 25 years (which is not that long in the greater scheme of things and provides an incentive to cycle quickly to new technology). They emit about 12 times the carbon dioxide of their scrap-metal rival; electric arc furnaces. They need large-scale production to achieve economies of scale and are not as flexible as electric arc furnaces, which can produce steel runs on demand – an attractive quality in the world of just-in-time manufacturing, reduced inventories and short lead times. They also use huge amounts of thermal coal for energy. They must be shut down for relining and restarting is costly. They also have huge waste issues, producing slag; plus they are labour intensive. These factors mean that blast furnaces can lead to big losses in tight years. Blast furnace numbers have declined sharply in the United States and Australia over the past two decades. The last blast furnace to be built in the US was in 1995. Australia has two remaining blast furnaces – one in Whyalla (ex OneSteel and Arrium, now owned by GFG Alliance) and one in Port Kembla (owned by BlueScope Steel ((BSL)). Europe is still heavily invested and only recently authorised steel producers to continue using blast furnaces until 2026 – and only after extreme lobbying from the steel and automotive industries. China is still dependent on coking coal but is widely perceived to be in a declining megatrend. India and Russia are expected to expand. The global blast furnace market is forecast to rise at a compound annual growth rate of more than 4% between 2019-2023 according to Business Wire, including capacity additions. But the degree to which this will support coke prices will depend very much on the type of blast-furnace technology deployed. Many of the new blast furnaces to be built in the West, and most likely China and possibly India, will be next-generation furnaces as producers scramble to meet ESG and carbon-tax demands. These are similar to traditional blast furnaces but use renewables, recycled gas, pumped hydro and grid scale batteries, for thermal energy; reducing overall emissions by 12%. Old generation furnaces use up to 950kg THM (although the majority have better scores), while the new furnaces use 70kg/THM and produce carbon dioxide ready to store. The efficiency of blast furnaces differs markedly. According to Science Direct, global best practice for using coking coal as the energy source for blast furnaces (it is also used in other functions) requires 250kg of coking coal to produce a ton (1.1 tonnes) of hot metal; but many of India’s blast furnaces require 507kg. Similar disparities are recorded in other components of the steelmaking process. ESG capital flows and the likely adoption of the carbon tax by 2023 are likely to make inefficient furnaces uncompetitive. As global best practices in blast furnaces become the standard, the demand for coking coal seems poised to fall. Given nearly all major consumers of coking coal have energy targets, and given ESG tracking extends to the supply chain of retailer and manufacturers, the likely introduction of a carbon tax, and the relatively short life of blast furnaces before upgrading, the pressure to upgrade is likely. So, even if demand for steel increases, the demand for coking coal should be kept in check.